Whether you arrive in Cusco for a previous visit to Machu Picchu or to explore the city that was the capital of the Inca empire; In this guide you will find everything you need to know for your visit How to get there? What to see? When to go?. Cusco is the birthplace and capital of the Inca Civilization, the largest empire in the Western Hemisphere and the most powerful city on the continent; Can be compared to cities like Rome, Athens and Cairo. The chronicles of the conquest describe Cusco as a city of lavish residences, extravagant palaces and huge temples flooded with gold. In the sixteenth century the history of Cusco would change forever, after it was invaded and almost destroyed by the Spanish invaders. Nowadays, people from all over the world, from all cultures, religions and socioeconomic levels are mixed in the Cusco square. Cusco is one of the most cosmopolitan and interesting cities in South America and is considered a cultural heritage of humanity. When is the best time to go to Cusco? How to get around Cusco? Where to sleep in Cusco? Most people will start their trip to Machu Picchu – Peru, in Lima; Known as the city of kings, is the place where it will arrive if it is coming from the other side of the world; Once here, there are two ways to get to Cusco. The International Airport Alejandro Velasco Astete – (CUZ) is the airport of Cusco; But only receives international flights from Bolivia, the rest of international flights arrive in the city of Lima. There are flights from Lima to Cusco every day and at different times; Latam, Avianca, Star Peru and Peruvian Airlines are the main companies that operate in Cusco airport. Most hotels are 10 minutes from the airport, a taxi will cost between 10 and 20 soles (depending on your negotiation skills). 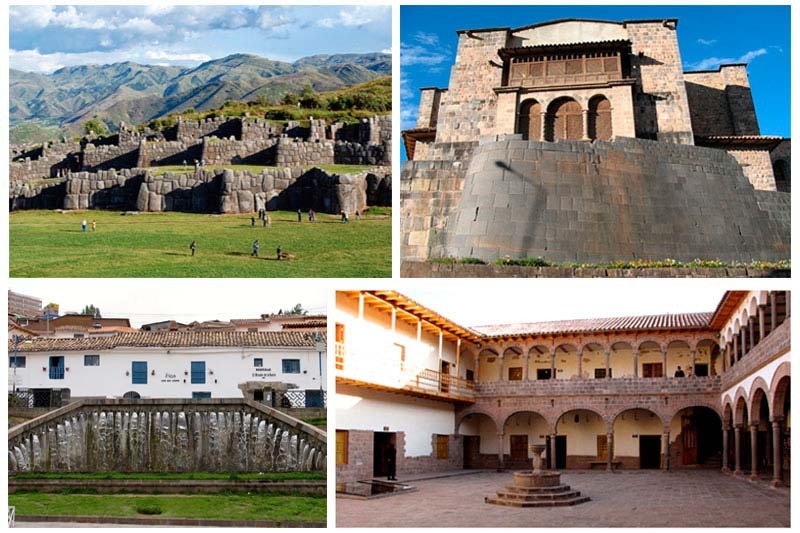 For more information about how to get to Cusco, go here. When to go to Cusco? Is one of the best questions before the trip. Although temperatures are around 18 degrees throughout the year, the best time to go to Cusco is from April to September (dry season); The rains are less during this season, but also coincides with the high season of tourism, so you will have a lot of company of people from all over the world, and as you should know to higher demand, prices rise. But if you do not mind getting a little wet and you want to escape all this turmoil; Besides getting hotels, guides and other tours at low prices, can come between November and April, it is the rainy season, but there are less people and greener landscapes. If you do not have problems with getting a bit wet, visiting Cusco in “summer” will allow you to get hotels at low prices and visit Machu Picchu as far as possible. In February you will not be able to enter Machu Picchu by the Inca Trail, as it closes for maintenance; In addition, the intense rains make it very difficult to cross the muddy Inca trails. But on the other hand, the rains do not stop the activity in Cusco, nor the people who want to enter Machu Picchu, which becomes especially green during these months; But coming in rainy season has other advantages. Cusco is beautiful in winter, the climate is dry and sunny, the streets are flooded with outdoor festivals; This time coincides with the US vacation. And Europe, so you can meet “many people” from all over the world. To come at this time, the tickets Machu Picchu, train tickets, hotels and even guides must be booked at least 3 months in advance, especially if you plan to come between June and August. Your best chance of missing something out of the crowd comes at the beginning of winter, in May. That said, do not expect to get one of the 400 tickets Machu Picchu + Huayna Picchu, without reserving it 6 months earlier. With temples, palaces, ancient Inca cities and access to the Lost City of the Incas, Cusco delights its visitors. First, you must insure your entry to Machu Picchu. If you are coming by train you will have to reserve Machu Picchu tickets and train tickets, at least 3 months in advance; But if you want the Tickets Machu Picchu + Huayna Picchu, or enter by the Inca Trail , you will have to reserve 6 months before. Before or after your trip to Machu Picchu you can visit the Plaza de armas del Cusco; Visit the Cathedral, very close to the Qoricancha ; Then you can raise your experience to another level, visiting the fortress of Sacsayhuaman , one of the most mysterious structures on the planet; But there is more to do in Cusco. You will find public transportation from 6 am until around 9 pm; This will cost between S / 0.70 cents and S / 2.50 soles (0.20 to 0.85 US $). If you are going to board a “combi” (minibus) be sure to carry cash in small coins. You will not be able to use foreign currency nor will you accept to pay with money of high denominations. If hiking is your thing , know that the central part of Cusco is safe to walk, even in the late hours of the night, but avoid the remote areas after 8 pm. The best way to enjoy the attractions of the city of Cusco and Machu Picchu is in an organized tour; If you want more information, please contact us at info@boletomachupicchu.com. 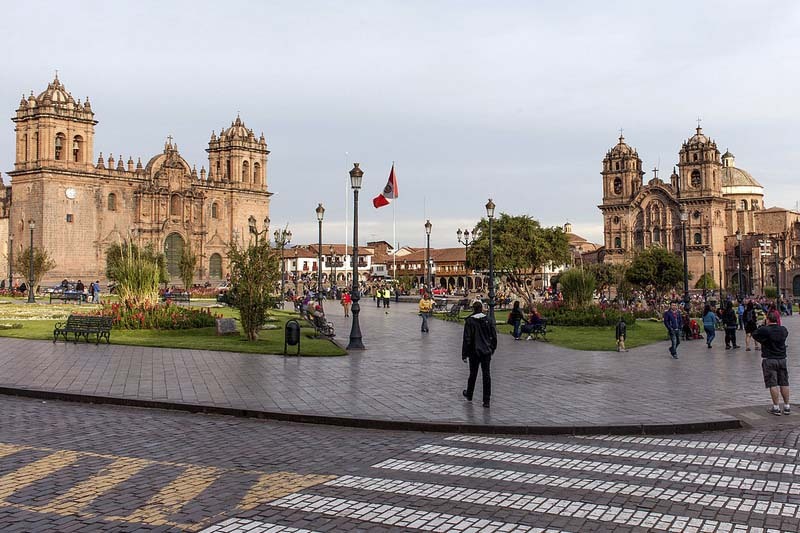 Cusco has “many”, many tourist restaurants, you will find Peruvian and international food for all tastes and prices; You can choose from dozens of tourist restaurants very close to the Plaza de Armas del Cusco. And if you did not know, Peru is considered the best gastronomic destination in the world, so enjoy the food. Cusco is quite famous in Peru and South America for its active nightlife, the huge amount of tourists makes the city have parties almost every night of the week. Near the Plaza de Armas of Cusco you will find many tourist bars and discos; The environments of these places vary quite, having several options for all ages. If you need a cold beer (try the Cusqueña beer) after an arduous day of excursion, in Cusco there will always be an open place. If you want your experience in Peru to be complete, try the “pisco sour”, or go try according to the cocktail menu, Cusco nights has something for everyone, lots of places to drink and taxis at all hours. To know more about Cusco and Machu Picchu you can visit our tips section.